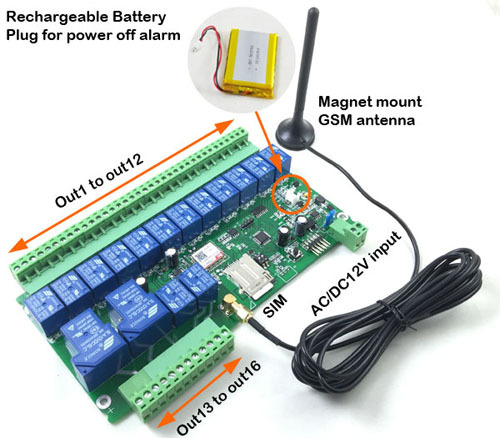 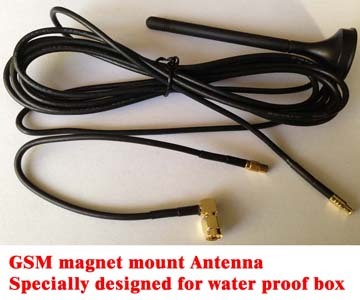 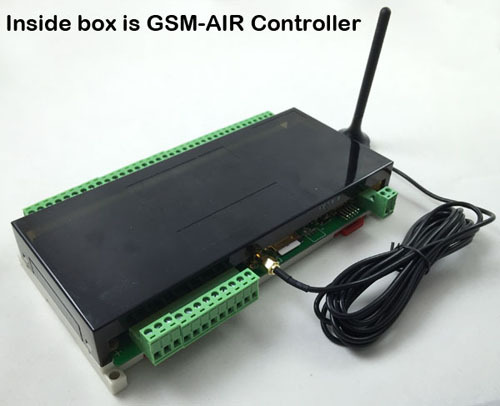 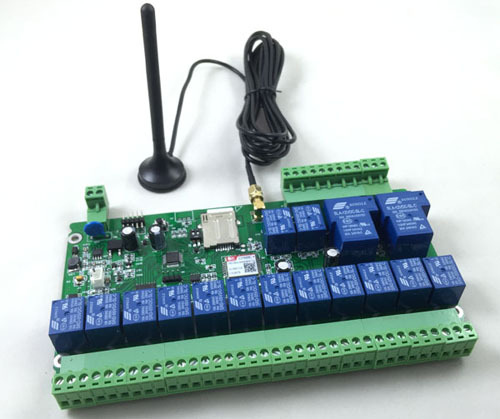 The GSM-RELAY is a wireless gsm remote controller switch that connects to the GSM cell phone network. 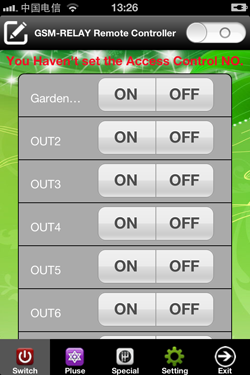 It has other 6 independent relay switches which can be switched on or off by sending the GSM-RELAY an sms text message. 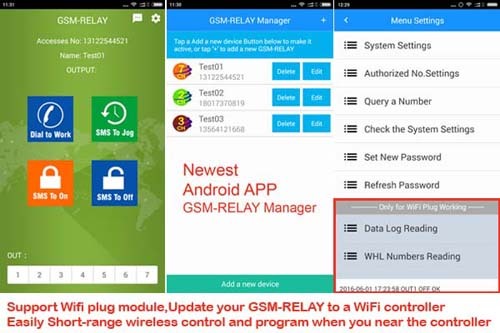 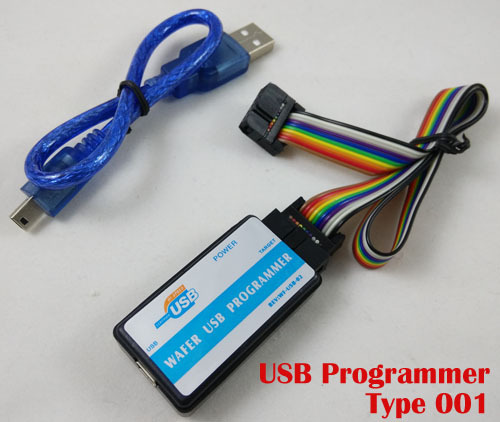 Go to google Play store and Iphone app store to search keyword : " GSM RELAY "